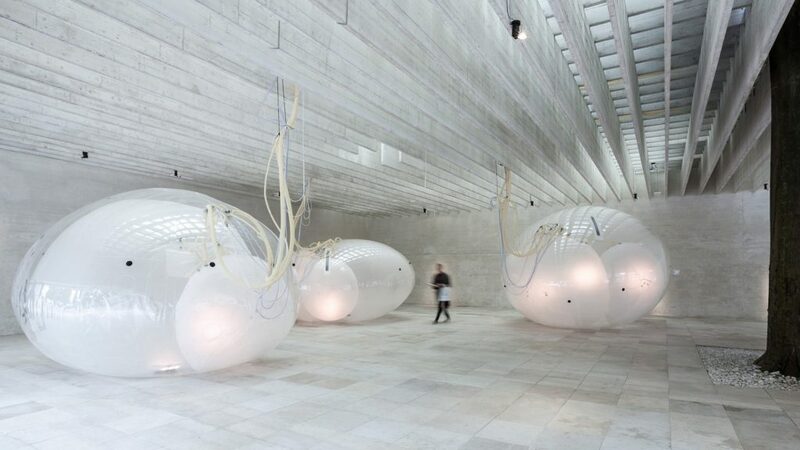 Four, huge inflatable, cell-like blobs have been installed as part of Another Generosity, curated by Lundén architects; Eero Lundén and Juulia Kauste within architect Sverre Fehn’s Nordic Pavilion at the International Architecture Exhibition in Venice until November 25, this year. The installed blobs actually “breathe” in response to environmental conditions — filling or emptying themselves of air depending on carbon-dioxide levels — to encourage contemplation and exploration of the relationship between nature and the built environment. 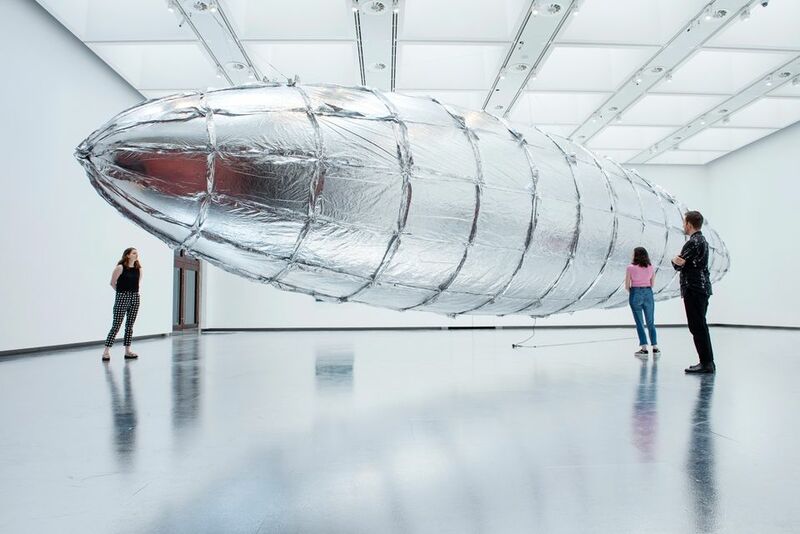 Meanwhile, South Korean artist Lee Bul is exhibiting an inflated, metallic blimp sculpture called Willing To Be Vulnerable – in his solo exhibition at the Hayward Gallery London until August 19. The show called “Crashed” is a dystopian sci-fi wonderland compiled of works created by Bul since the 1980s and includes lots of new sculptures. 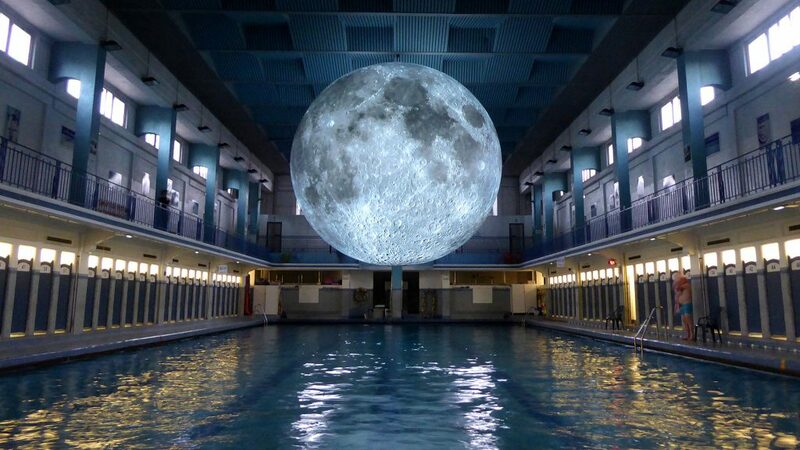 The Museum of the Moon installation by UK artist Luke Jerram is a massive, inflated moon sculpture – a scale model that fuses NASA lunar imagery, moonlight and surround-sound compositions created by BAFTA and Ivor Novello award-winning composer Dan Jones. The installation is currently on a three-year tour and is set to be presented over this summer in a variety of stunning global locations and festivals until August 26, 2018. 7,000-piece ‘Biodegradable Crescendo of Care’ facade during Melbourne Design Week. Another of her recent works comprised of 50,000 balloons, filling a 45ft high promenade at the David H. Koch Theatre for New York City Ballet. Milan Art Week 2018. 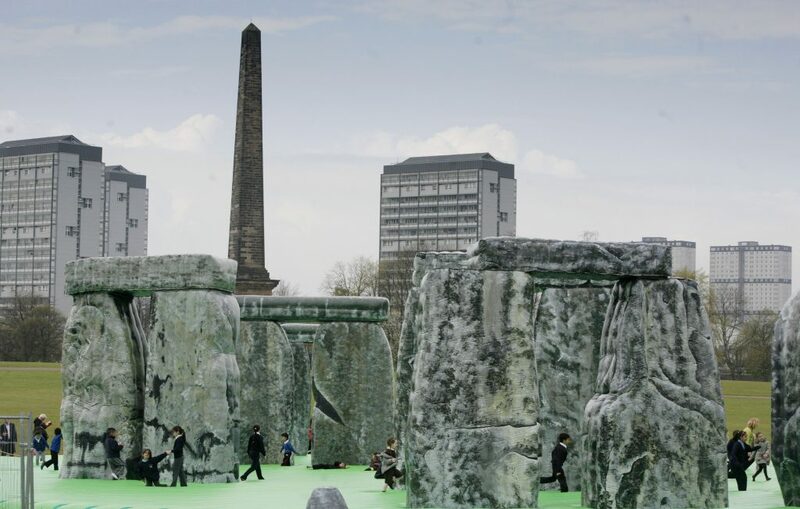 His giant inflatable life-sized reconstruction of the archaeological site of Stonehenge has been installed before in Glasgow and London, where it also proved hugely popular with bouncing art lovers. 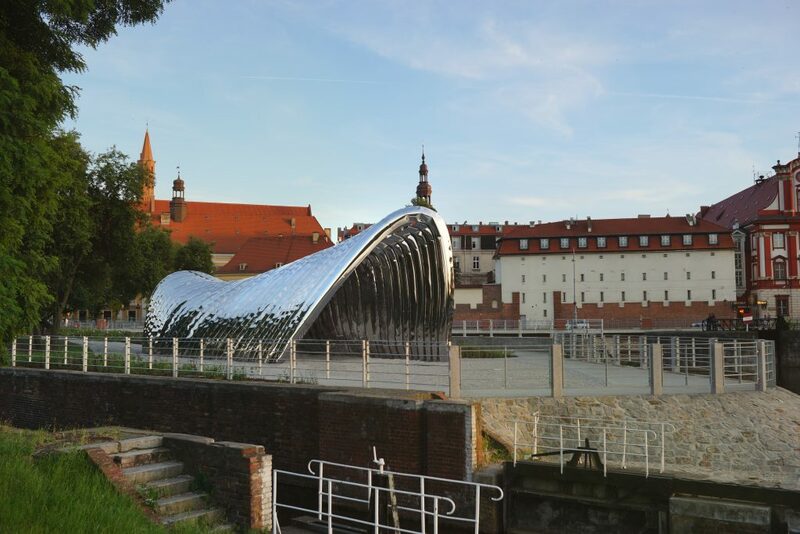 Daliowa Island in Wroclaw, Poland, for the Capital of Culture celebrations a few years back.